Please fill in the short form below with your question, either about the Simrad E5024 ECDIS System, or for some technical advice. Please include details of your vessel if you feel they will help us answer your query. 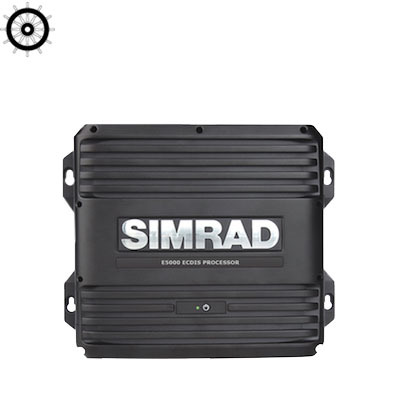 Control Simrad radar, echosounders, and more from an optional non-approved second station. 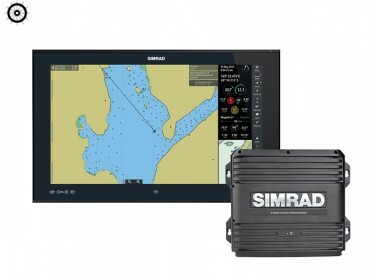 The ECDIS E5024 system includes the Simrad M5024 24-inch, 16:9 widescreen monitor. This provides a larger usable chart area than conventional 4:3 or 5:4 ‘square’ ECDIS displays, while leaving ample room for controls, instruments, and status information. Its Full HD 1920 x 1080-pixel resolution delivers sharp, highly detailed charts, with crisp and clear text for maximum readability. A modern interface offers rapid access to critical features with clearly labelled quick access tiles. Route planning is simplified through integration with the main chart window and drag-and-drop manipulation of waypoints. The E5024 system consists of a standalone ECDIS processor, connected by a single HDMI cable to a flush-mount monitor. The included trackball controller connects wirelessly, and may be used on any console or surface. With just a monitor cut-out required, a compact and easily-mounted processor, and minimal wiring, a quick and simple installation is possible on most vessels. Two E5024 ECDIS systems may be linked with a single Ethernet cable to create a cost-effective, IMO type-approved ‘Paper-Less ECDIS’. This allowing vessels to navigate without paper charts, in compliance with SOLAS requirements. All routes, mariners objects and charts are automatically synchronised between the two systems, and systems can be configured to share connected sensors – different stations can be used for planning and navigation, installed side-by-side on the bridge or in separate areas of the ship. Maximise situational awareness with real-time radar image and AIS/ARPA target overlays. Immediately see where storm cells and other weather features lie in relation to your planned course, and navigate with a comprehensive view of surrounding marine traffic and other collision hazards. Overlay functionality works with Simrad Argus radar, and any NMEA0183-compatible ARPA or AIS receiver. 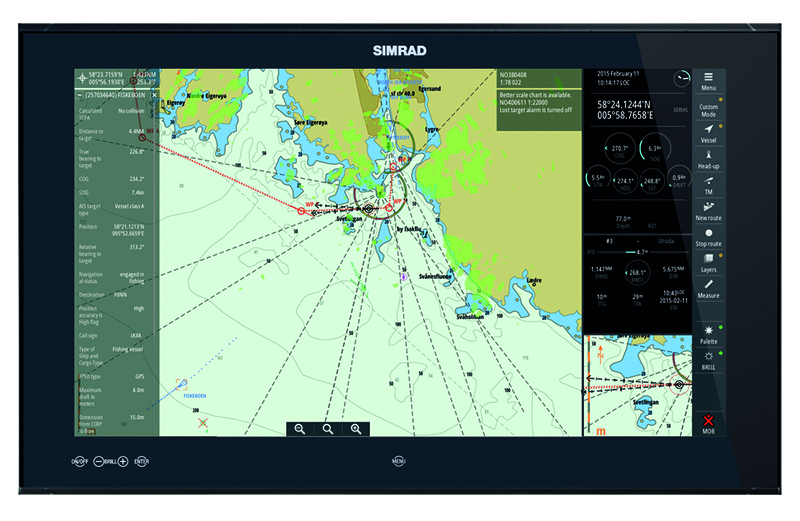 The Simrad E5024 ECDIS system is designed to operate with NAVTOR-distributed cartography, and also provides S-57 and S-63 import capability for third-party charts. Pay As You Sail (PAYS): Best suited to vessels that don’t operate static routes, the required ENC cells are automatically unlocked and charged as you pass through a geographic location. Standard Subscription Area (SSA): The most economical option for vessels covering static routes or operating in smaller geographic regions, pre-license and pay for specific ENC cells to cover the area you need. The E5024 ECDIS system supports chart installation from USB flash drives, including NAVTOR’s NavStick. NavStick can be updated with the latest available charts via any internet-connected PC. Fully supported on the E5024, AIO provides additional information to navigators including Admiralty Temporary & Preliminary Notices to Mariners (T&P NMs), temporary or newly-reported navigational hazards, and advance notice of changes that have not yet been incorporated into the latest ENCs. The AIO service is available from NAVTOR, and can be updated via any internet-connected PC with the same NavStick USB device used for licensing and chart installation. On non-SOLAS vessels that do not require a type-approved ECDIS system, the E5024 ECDIS system may be employed as an unapproved Electronic Chart System (ECS). As an ECS, the E5024 system may be used with any Simrad M5000 Series professional marine monitor; in addition to the 24-inch monitor required for ECDIS use, smaller 16- and 19-inch monitors are also available in the same 16:9 widescreen format. With its secondary HDMI output, the E5024 system can also drive a fully independent multifunction display to control Ethernet-connected Simrad performance modules including radar, echosounders, and StructureScan sonar imaging, in addition to third-party accessories such as FLIR cameras, CCTV, engine sensors, and instrumentation. The E5024 provides a flexible and economical platform on which both official and unofficial ENCs may be used to provide professional-grade navigation alongside radar and echosounder displays, live camera feeds, and other digital instrumentation.